SAN FRANCISCO, CA - Circa October, 2015 - An establishing shot of the San Francisco skyline as seen from Mission Dolores Park. 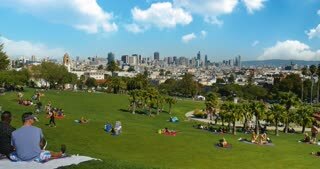 SAN FRANCISCO, CA - Circa October, 2015 - A daytime establishing shot of Mission Dolores Park in the Mission District of San Francisco, CA. SAN FRANCISCO, CA - Circa October, 2015 - An establishing shot Mission Dolores Park with the San Francisco skyline in the distance. SAN FRANCISCO, CA - Circa October, 2015 - An establishing shot Mission Dolores Park with the Mission High School in the background. 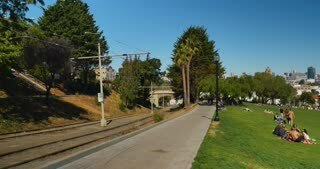 SAN FRANCISCO, CA - Circa October, 2015 - An establishing shot Mission Dolores Park in San Francisco, CA. SAN FRANCISCO, CA - Circa October, 2016 - A high angle rear establishing shot of Mission Dolores Park with the San Francisco skyline in the distance. 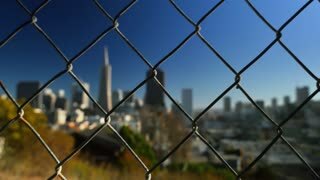 SAN FRANCISCO, CA - Circa October, 2016 - A high angle establishing shot of the San Francisco skyline as seen from atop Mission Dolores Park. 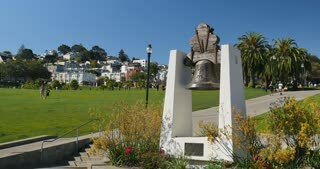 SAN FRANCISCO, CA - Circa October, 2016 - An establishing shot of Mission Dolores Park with the Mexican Liberty Bell at the entrance. SAN FRANCISCO, CA - Circa October, 2016 - A dolly establishing shot of Mission Dolores Park with the San Francisco skyline in the distance.